Sometimes there are things that are so shocking that you just do not want to report them unless they can be completely and totally documented. 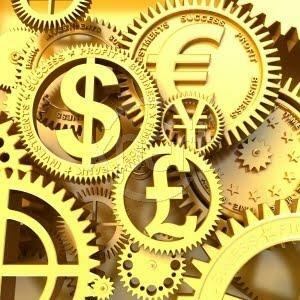 Over the past few years, there have been many rumors about a coming global currency, but at times it has been difficult to pin down evidence that plans for such a currency are actually in the works. Not anymore. A paper entitled "Reserve Accumulation and International Monetary Stability" by the Strategy, Policy and Review Department of the IMF recommends that the world adopt a global currency called the "Bancor" and that a global central bank be established to administer that currency. The report is dated April 13, 2010 and a full copy can be read here. Unfortunately this is not hype and it is not a rumor. This is a very serious proposal in an official document from one of the mega-powerful institutions that is actually running the world economy. Anyone who follows the IMF knows that what the IMF wants, the IMF usually gets. So could a global currency known as the "Bancor" be on the horizon? That is now a legitimate question. "As a complement to a multi-polar system, or even—more ambitiously—its logical end point, a greater role could be considered for the SDR."